Welcome to KUHARA SEISAKUSHO 's web site. 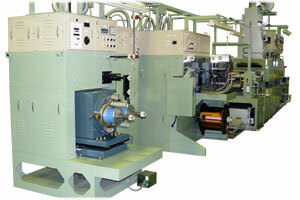 We are the specialized makers of Wire Enamelling machine and machine for various electric wires. We are the specialized makers of Wire Enamelling machine and machine for various electric wirs. This product is the result of over 50 years of continuous research and development. So it is completely reliable. Warranty is issued with each contract. Customers can be assured in our research and development, so we can contribute to the developments of our industry of Wire Enamelling. Acquired JIS Q 9001:2008(ISO 9001:2008). Please see our certificate of ISO.